Never have I seen more interest in home vegetable gardening. Growing food at home is more popular than ever because of the economy to a degree, but more importantly because of the growing interest in health and nutrition. The only way to be absolutely sure about your food is to grow it yourself. Many are also learning for the first time how much fun it is and that it isn’t hard to do – especially with organic techniques. There is also a huge and growing interest in community gardens, and most of these gardens are going organic. The White House is even putting one in. Amanda Van Hoosier will be on the radio show with me this Sunday, March 29 at 9:00am CST to discuss the Coppell Community Gardens. 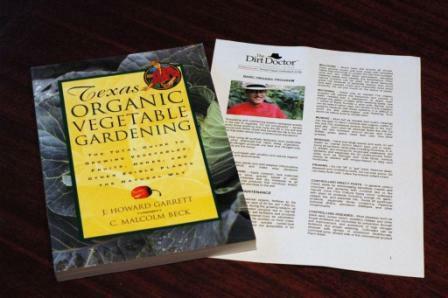 With all of the current interest in gardening, we are offering a special deal on the Texas Organic Vegetable Gardening book. It’s one of my favorite books. Malcolm Beck and I worked on it together. It has a terrible title for two reasons. 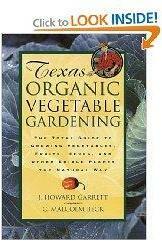 One, it is very useful anywhere food crops are grown, not just in Texas and two, the book covers fruits and many herbs in addition to vegetable crops. It also talks about how to have an edible landscape. This a book you will enjoy and is an excellent resource for growing the natural way. Here’s the deal. 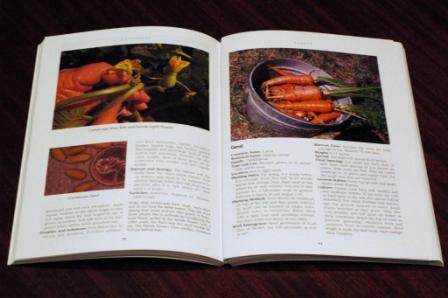 If you purchase the Organic Vegetable Gardening book, you will also receive the new and revised version of the Basic Organic Program (BOP) and seeds from Howard's Garden. Find Howard's books in a Dirt Doctor Destination, your local book store or Garden Center. If you have any questions regarding this newsletter or any other topic, join me for my radio show heard in Dallas/Fort Worth on Saturday at 11am and across the country on Sunday from 8 - 11am (CST). Radio. To learn more on living a Natural Organic lifestyle, visit DirtDoctor.com. to Sign Up for the free Dirt Doctor Weekly Newsletter. 10% rebate on ALL purchases in The Natural Organic Shop. A portion of your membership supports the TexasOrganicResearchCenter.